As I have already mentioned, identity thieves will use any identity theft scams to steal your personal information. Certain information are far more valuable than others as some identities are more valuable than others. I’m sure you will agree that a person with a better or higher credit score has a better chance of getting a credit card, a loan, or get a phone service. In other words his or her application is less likely to be declined. A credit worthy person is more likely to obtain higher credit card limit than an average Joe. So, if you were an identity thief, trying to use any identity theft scam to find and steal the more valuable personal information, who are you more likely to target? Which credit card would you rather have for shopping? Which one provides the highest return on your investment? One more thing, high dollar purchases are less likely to attract credit card company’s attention if the credit card’s “original” owner has a history of making frequent high dollar purchases. If the credit card company gets suspicious of the transaction based on the past behavior, they will put a hold on that transaction and the thief goes home empty handed. That being said, do I think identity thieves go as far as to target their specific victims? Probably not, but they would target their victims if they could for the reasons that I just mentioned. They should not be underestimated and their identity theft scams get smarter and more creative as we come up with more controls and laws. 1- First, they may have contacts at the banks, mortgage companies, credit card companies or any other company with good local targets such as dentists and doctors. These contacts may be willing to share the financial institution’s client list and related personal information. The contacts are most likely to provide the information for money although some may resort to these identity theft scams for free as they may be disgruntled employees. Read about what consumers and businesses can do to protect themselves. 2- The thieves may actually get a job at the company and steal the information themselves. This is where companies need to have sound security controls in place. The companies should take this seriously, not only out of respect for their clients, but also because it’s the law. 3-The thieves may also try to penetrate the computer systems to get the information they need. To do this, they may also resort to “social engineering” which means they will contact the company employees and try to obtain specific system information which will facilitate their effort to break into the company’s computer system remotely. Or, criminal thieves may just get the information straight from the company employees without resorting to system penetration. You may say how could this happen, but this is more common that you can imagine. It’s easy and takes less effort. Companies should take great care in educating their employees on information handling policies. 4- They may resort to “Phishing”. This is a technique where thieves may contact the victim-to-be on-line, posing as a legitimate company like victim’s bank, and ask for personal information. They could also do this by calling or sending a letter. 5- Your purse or wallet may be stolen. 6- You home may be broken into. 7- Your mail may be stolen or a change of address may be placed with US Postal Service to divert the incoming mail, although, as the post office sends change of address confirmation letters, this would be detected. 8- They may go through your trash, which is also called “dumpster diving”. 9- They may break into you car or office. 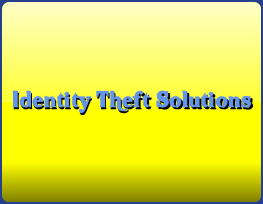 Visit the identity theft prevention section after learning about identity theft scams.